JEREMY CORBYN vowed today that Labour would reverse the Tories’ decision to abolish the Agricultural Wages Board five years ago, which has stripped millions of pounds from the pockets of rural workers. 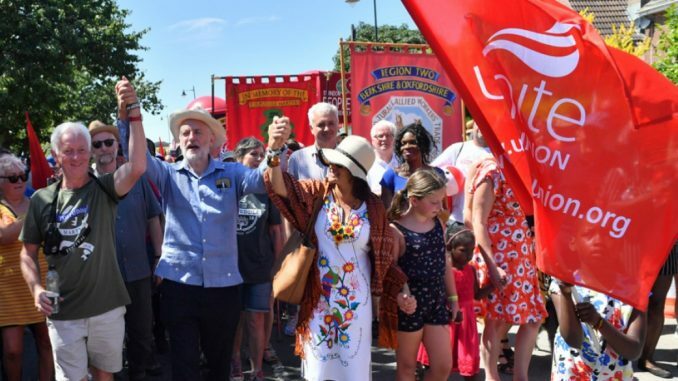 Speaking at the Tolpuddle Martyrs’ Festival Mr Corbyn said he was honoured to lay a wreath at the grave of James Hammett, one of the six martyrs, at Tolpuddle parish church on behalf of the Labour Party. Earlier in his speech, Mr Corbyn told the festival that he wants to reverse the government’s 2013 decision to scrap the board, so agricultural workers in England would be entitled to minimum rates of pay and conditions incorporating guaranteed paid holiday, sick pay and breaks. Mr Corbyn said: “Rural workers have been consistently ignored by the Tories. “The south-west is the low pay capital of Britain. 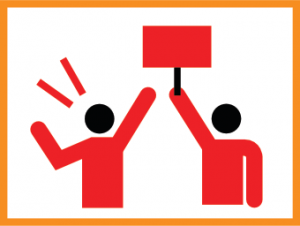 Here, and across the English countryside, agricultural workers have been abandoned by the shameful decision to scrap the Agricultural Wages Board. Agriculture Minister George Eustice, who was under-secretary at the Department for the Environment, Food and Rural Affairs (Defra) at the time, had said that the body “became redundant” and was being scrapped because, he claimed, it would be replaced by George Osborne’s new “National Living Wage” – which actually turned out to be little more than a minor rebrand of the national minimum wage. In addition, Mr Corbyn called on the Parliamentary Labour Party to delay their emergency motion on adopting the International Holocaust Remembrance Alliance’s (IHRA) definition of anti-semitism until September because Parliament is in recess from this week for summer. “I’d rather they delayed that discussion until September because there will be a full attendance at meetings in September,” he said. He added: “I suspect Monday’s [today’s] meeting will not be fully attended because Parliament is rising on Tuesday. Mr Corbyn defended the position taken by Labour’s ruling NEC, which adopts the IHRA definition of anti-semitism but adds guidelines on the interpretation of the IHRA’s examples, some of which have been accused of conflating anti-semitism with criticism of Israeli government policy. He said: “What we also agreed to do at the NEC is that we would have a consultation process now with a number of organisations. “I have written on Thursday this week to a very large number of organisations asking if we can have a discussion with them and talk to them and then bring it back and get it right. “I want us to deal with anti-semitism in our society, as well as all of our parties, including my own.